For a 'one stop shop' service we can include the supply of all your disposable janitorial products and washroom hygiene service needs. 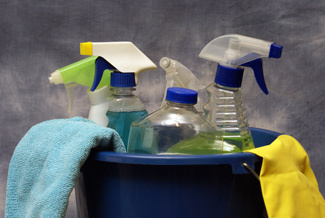 Janitorial products include items such as black refuse sacks, white bin liners, toilet rolls (all sizes), paper towels, soaps, etc. The dispensers for the various products can also be supplied and fitted. For some of our customers we also carry out any small washroom repairs, for example replacing broken toilet seats, washroom fittings, door handles, fitting locks etc. This will save you time and money as we have staff on site, are local to the area and can carry out small maintenance tasks at a fraction of the cost that tradesmen would charge, and we are just a phone call away. Our Washroom Hygiene Service covers the provision and monthly service of units such as sanitary bins, vending machines, automatic air fresheners, auto sanitizers, ureco systems, dust mats etc., for an annual charge. We source our supplies in bulk and can offer very competitive prices and a wide range of products and brands – just let us know your requirements. Our delivery service saves you time and money and means new stock is only a phone call away, and you will never be caught short again. Contact us for a fast and friendly service.